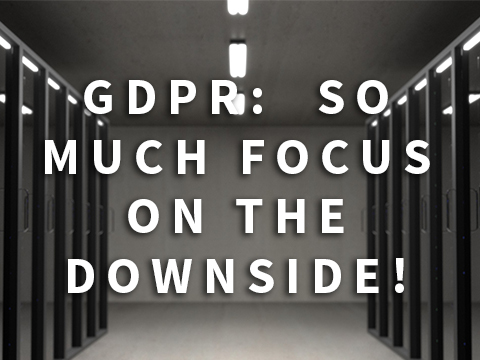 GDPR: So much focus on the downside! Hang on a minute! GDPR is forcing organisations to review their marketing data anyway. Is there a significant commercial upside? Are there marketing opportunities lying untapped within your systems and data? You may have specialist teams and agencies advising on compliance, but what about auditing the effectiveness of your data e.g. how you’re using the available data to inform and then evaluate marketing activity? So if GDPR and data are keeping you awake at night, at least let’s see if this can’t be a blessing in disguise.